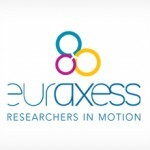 “EURAXESS – Researchers in Motion” is unique web portal providing access to a complete range of information and support services for European and non-European researchers wishing to pursue research careers in Europe. If you are interested in bringing researchers to Ireland to work with your company, this could be an invaluable resource for you. The service details all those seeking research opportunities, allows companies to source suitable talent, and then provides assistance with relocation and visa requirements, supporting all the mobility needs of researchers and their families. EURAXESS assists researchers in advancing their careers in Europe and supports research organisations in their search for outstanding research talent. EURAXESS is a truly pan-European initiative, supported by thirty-seven participating countries. It provides a single access point to information from all countries including a network of walk-in centres offering personalised assistance to researchers moving to another country. Guest Speakers: Mary McNally and Anthony McCauley from Fujitsu Ireland’s Innovation Team will be providing a testimonial of how Fujitsu have benefited from EURAXESS – in particular the hosting agreement scheme and the access to immigration services.